Most days I try not to cook dinner while Zach is awake. It always leads to a battle, both with him over my attention and with myself by feeling guilty for not interacting with him. But sometimes it has to happen. 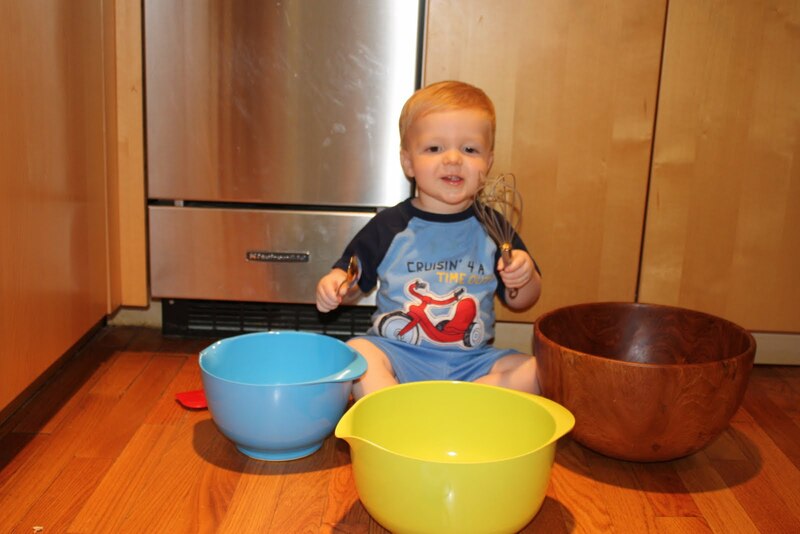 I finally got the idea to have him “help me” make dinner. 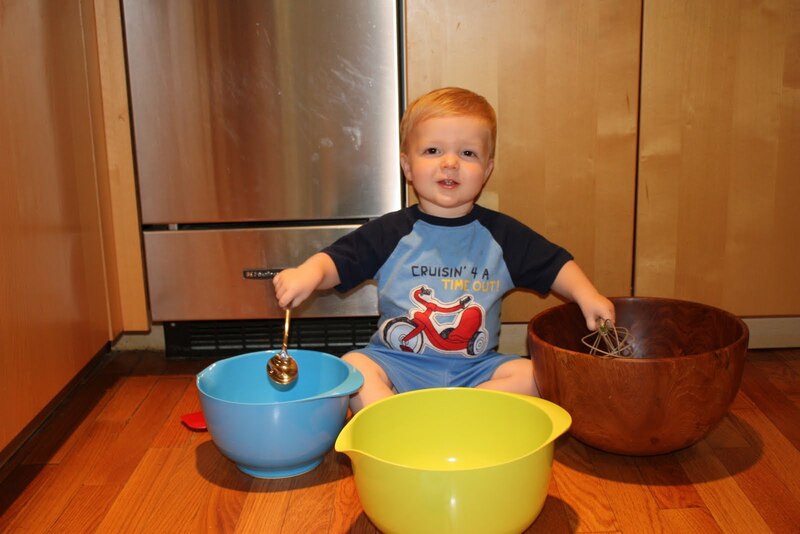 He sat and played with these three (empty) bowls for a good 15 minutes. It was lovely. Until he abandoned his utensils and decided to climb up my legs and attept to kick my sore foot to get attention – while I was stirring a hot pot of cheese sauce. I wish I could say I came up with a great parenting technique to handle that one, but alas, I just stood on one foot and said “Zach, no! That is Mommy’s boo boo foot. Stop kicking Mommy’s boo boo foot!” until the sauce was ready.